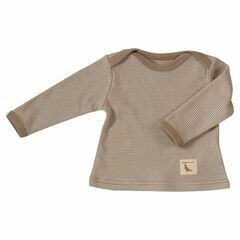 Based in the UK Pigeon Organics are devoted to producing organic and high quality, soft clothing for babies. The cotton is sourced from Turkey where there is a strong knowledge of organic growing and carefully controlled processing, to ensure that the cotton is of the highest quality possible. The result is that their items are well designed and their subtle, contemporary prints appeal to parents and grandparents too!